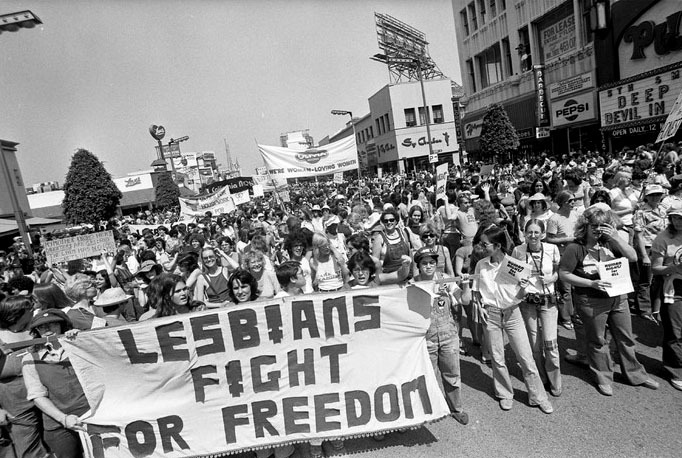 Gay Pride Parade, West Hollywood, 1983. Los Angeles Times Photographic Archive, Negative 298763. UCLA Library Special Collections. 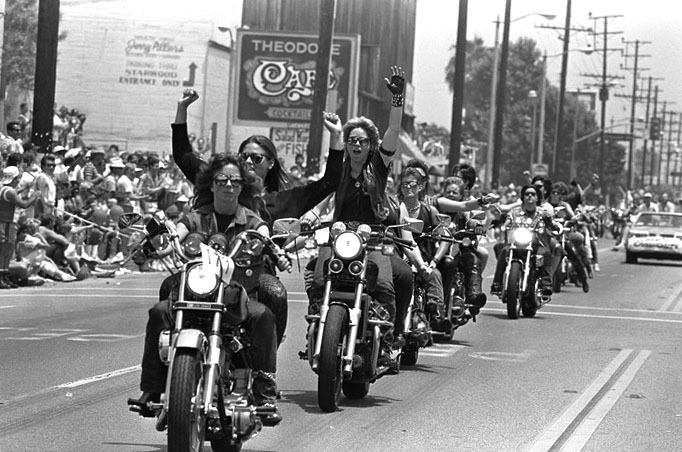 Women bikers in Gay Pride Parade, West Hollywood, 1986. Los Angeles Times Photographic Archive, Negative 303874. UCLA Library Special Collections.